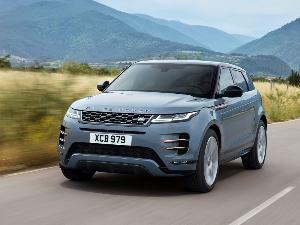 Little on the automotive market today can touch a compact crossover suv when it comes to consumer popularity. Almost every automaker offers some type of compact SUV, and competition has kept prices under control and feature lists growing. 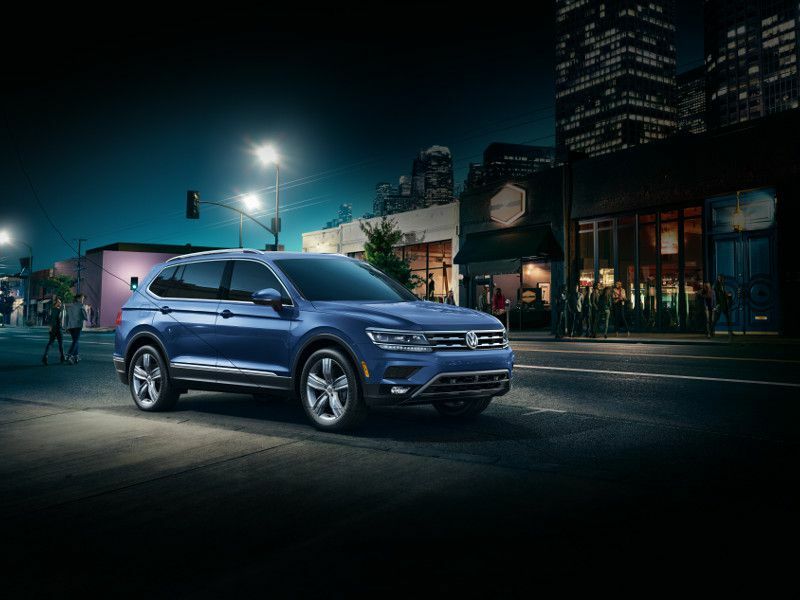 The reasons to consider the 2019 Volkswagen Tiguan as your next crossover are numerous. 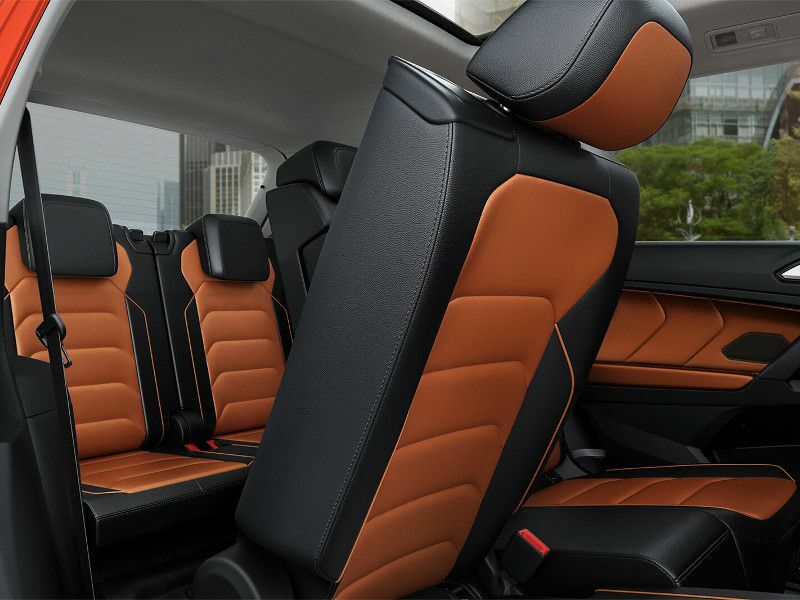 You can fit up to seven passengers into the Tiguan’s three rows of seats, and you get great VW design inside and out. What’s even better, VW has thrown in some high-tech goodies that were formerly limited to the top tiers of luxury suvs. Keep reading for a detailed look at the 2019 Tiguan. From its recently revised body and chassis to its tech features, this compact SUV should be on your test drive list. Three rows are better than two. The big difference between the Tiguan and almost every other compact SUV on the market is the available third row of seats. Among compacts, only the 2019 Mitsubishi Outlander matches the VW’s crowd-carrying capacity. Three rows are standard in most mid-size crossovers, but if you don’t want to drive something that big, the Tiguan is a great choice. Before it could put a third row in the Tiguan, VW had to make the vehicle longer by almost a foot and a little taller and wider as well. So the Tiguan is a bit bigger than other compacts for this reason. The third-row seat is standard on all front-wheel drive Tiguans and optional on Tiguans equipped with VW’s 4Motion all-wheel drive system, but even then it adds only $595 to the purchase price, so it’s not going to break the bank. The 2019 Tiguan starts with VW’s basic S trim, but it’s not a stripped-down model. 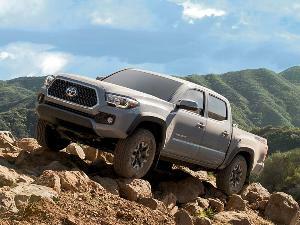 You’ll get a 6.5-inch touchscreen sound system, a rear-view camera, a third-row seat, and cloth upholstery throughout. This model starts at $24,295. The SE trim adds heated leatherette front seats, an 8-inch touchscreen audio interface, blind-spot monitoring, and forward parking assist, starting at $26,695. Moving up from there, the SEL trim adds VW’s Digital Cockpit driver information display and adaptive control, starting at $31,795. The SEL R-Line is a sport appearance package starting at $33,645, while the SEL Premium adds features like 4Motion AWD, a Fender audio system, LED headlights, and leather upholstery for $37,195. 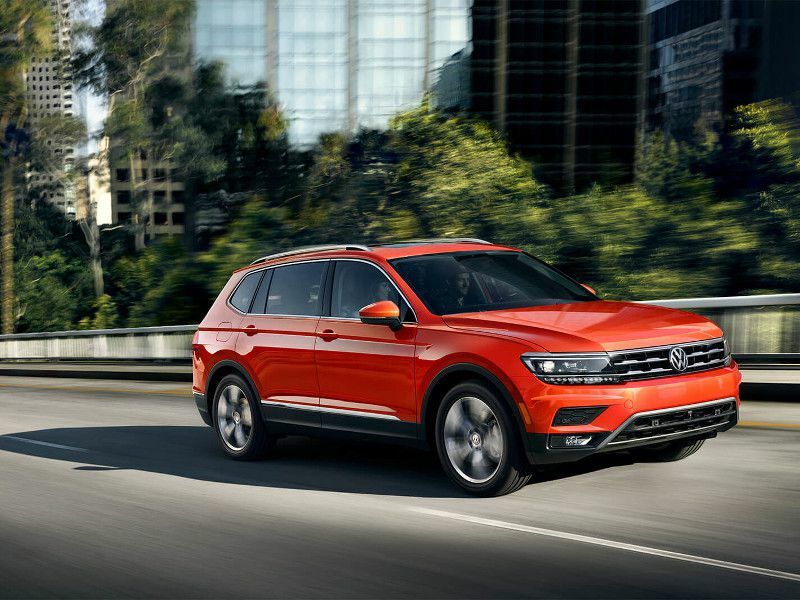 All Tiguan models have a $995 destination charge. All trims but the SEL Premium have FWD standard, but you can add AWD for $1,300. Finally, all Tiguans have the same engine and transmission package. One of the best reasons to love the Tiguan is its look. VW has done a great job standardizing its design cues, and it's making handsome cars these days. The Tiguan’s exterior lines are crisp and masculine. The grille and headlights are understated. VW has steered clear of the unfortunate tendency to create a huge, odd-shaped, gaping hole in the front of the vehicle. 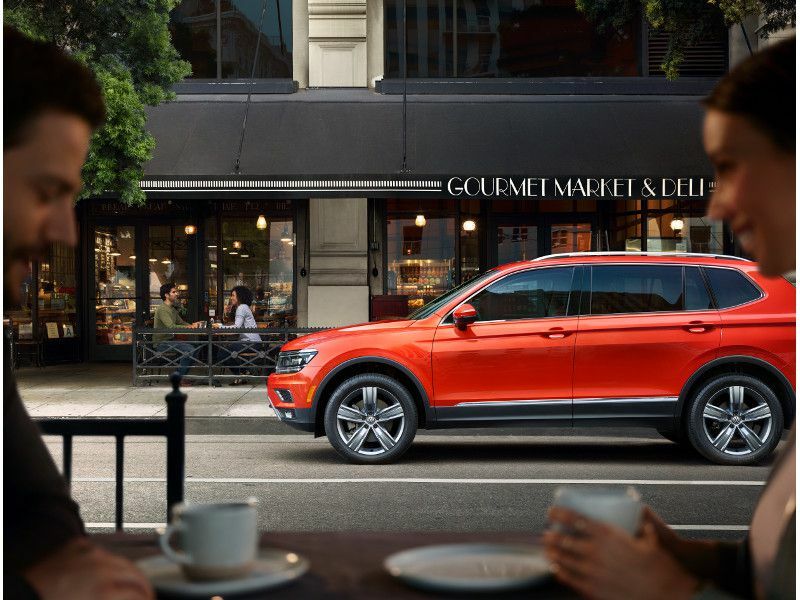 All Tiguan trims include at least 17-inch alloy wheels, with upper trim levels offering 19-inch wheels that fill the wheel arches nicely and give the Tiguan a proud and capable stance. Even the basic S trim Tiguan includes fog lights that follow your steering inputs at low speed, automatic headlights, and LED taillights. The overall effect suggests that the Tiguan is a premium vehicle with a much higher price tag than you actually paid. Inside, the Tiguan is simple, easy-to-use, and avoids gimmicks. The seats are firm and comfortable, even in the base trims. Heated seats come in at the volume SE trim level, so chances are good you’ll be able to enjoy that feature even in an affordable model. If you get the SEL Premium trim, the steering wheel is heated, too. One area where there’s a tradeoff is in second-row legroom. Even with the additional length on this generation of Tiguan, a third-row seat takes up space. So be sure to sit in the second row before you make your decision. However, the increased wheelbase of the Tiguan has benefits, too. 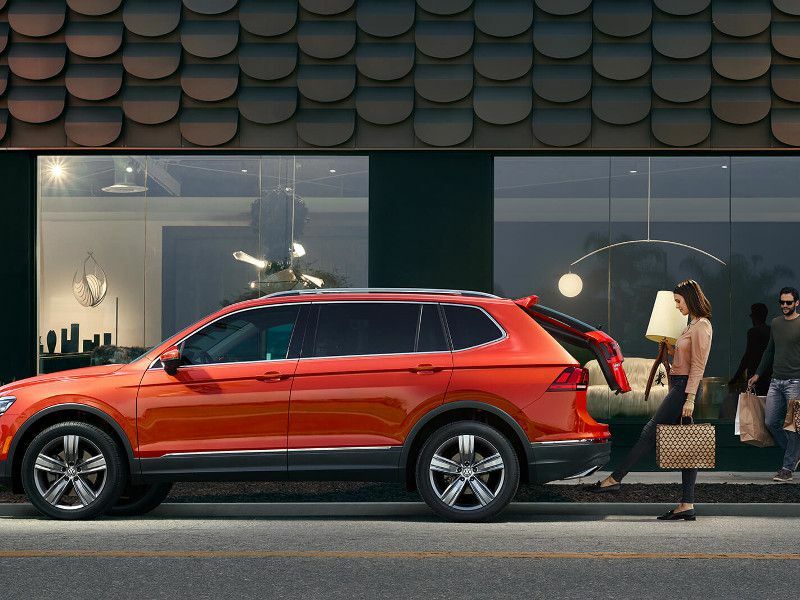 The Tiguan offers up to 73.5 cubic feet of cargo space, and 37.6 cubic feet behind the second-row seat. Three-row models give up a few cubic feet to make room for the folded seat. 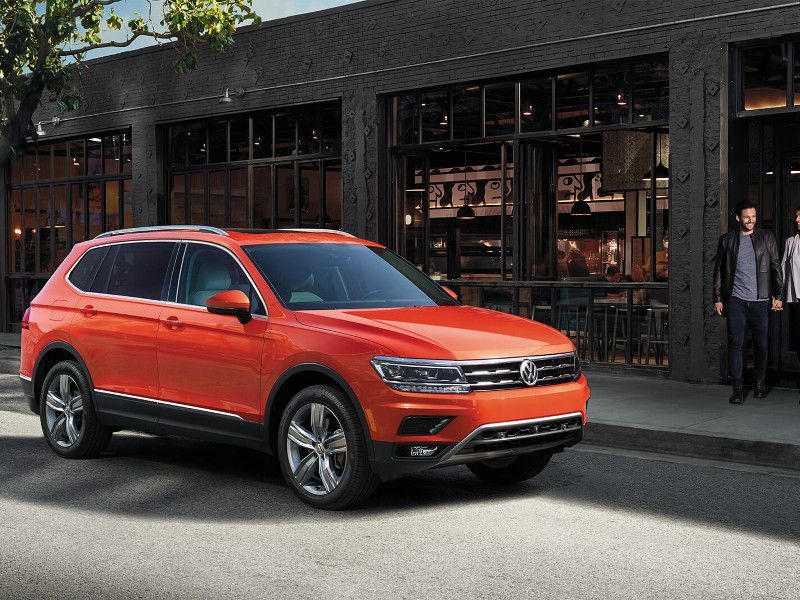 All 2019 Tiguan models include a touchscreen infotainment system that also includes a rear-view camera. The base S trim has a 6.5-inch unit, while all others feature an 8-inch screen. Starting with the SEL trim, you get onboard navigation, but all trims support Android Auto and Apple CarPlay, so you can always navigate with your phone's GPS app. The system also supports VW’s Car-Net app system and Bluetooth for phone calls and media streaming. 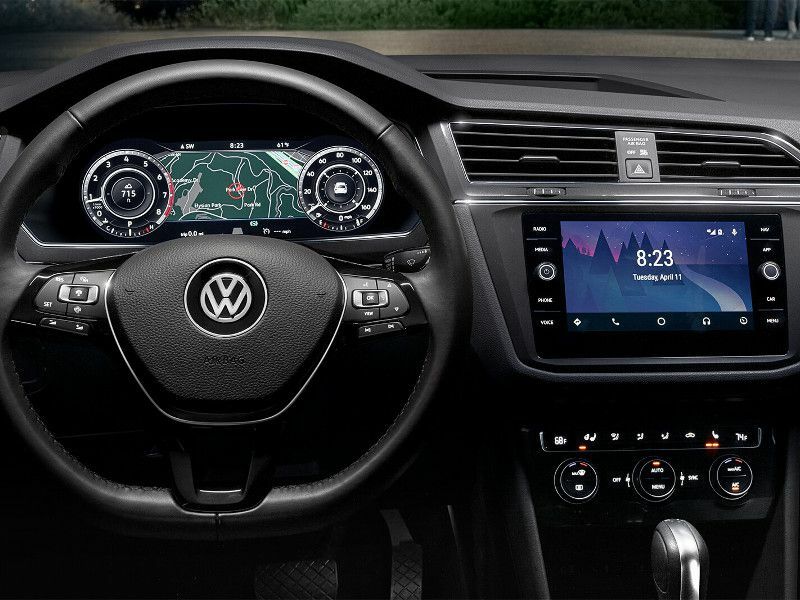 The SEL trim and above offer one of VW’s best tech features: the Digital Cockpit. This replaces the traditional gauges in front of the driver with a video screen. You can configure this with a number of different views based on your personal preferences, or you can display your navigation map across nearly the whole screen. This is one feature that really makes the Tiguan feel like you bought a premium SUV. All Tiguan trims come with the same engine and transmission combination. The engine is VW’s tried-and-true turbocharged 2.0-liter four-cylinder. You’ll get 184 horsepower and 221 pound-feet of torque, which isn’t a lot compared to some two-liter engines on the market, but it should last a long time. The engine is mated to an eight-speed automatic transmission that makes good use of the available power. Fuel economy ratings are 22 mpg in the city and 29 mpg on the highway for the FWD Tiguan, and 21 mpg city and 29 mpg highway with 4Motion. In a week of real-world winter driving, we found those numbers to be accurate. As mentioned, the 4Motion AWD system can be ordered with any Tiguan trim level for $1,300. 4Motion has been around a long time and it works flawlessly. With a good set of winter tires, the Tiguan can handle snow and ice without any trouble. The Tiguan has great road manners. The extra length in the wheelbase makes the Tiguan stable on the highway, but it’s still a compact so it handles very well on hills and curves. Visibility through all the windows is excellent, and the SUV affords a good view over the hood to the front. On a winding road, the Tiguan responds crisply to your steering inputs. The suspension holds the road very well even over bumps. You’ll feel confident in all weather conditions. We crossed a mountain range twice, and the brakes worked well under heavy use. The Tiguan is a smooth-riding vehicle, which is nice for passengers in the rear rows, and VW did a great job giving the Tiguan a quiet cabin. Our test vehicle came equipped with the Fender audio system, which was delightful on a country drive. It’s one thing to take a spirited drive through the hills, but where the Tiguan really shines is in day-to-day use. The increased cargo capacity compared to most competing models is tremendously useful without the tradeoff of poor fuel economy and cumbersome handling that you might get with a larger vehicle. In a week of driving, we found that we looked forward to hopping into the Tiguan and making a run to the supermarket or the big box store. If you’re part of an active couple, the Tiguan is nearly ideal for camping, winter sports, or any activity that requires a little more gear. Every Tiguan comes with roof rails, in case you want to bring bikes, a pod, or a roof basket. If you’re shopping the Tiguan for its three-row seating capability, the most direct competitor is the 2019 Mitsubishi Outlander. The Outlander is the only other compact crossover to offer seven-passenger seating, and it starts much lower than the Tiguan at $23,945. If you’re interested in the Tiguan for its performance, you should consider the 2019 Mazda CX-5. Mazda does a great job with driving dynamics, and the base 2.5-liter engine offers comparable performance to the Tiguan. For a little extra zip, test-drive one of the new turbocharged CX-5 models. 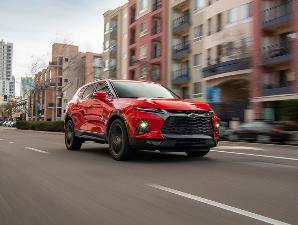 And if you’re looking at any compact crossover, you’ll want to consider the market leaders, which are the 2019 Toyota RAV4, 2019 Honda CR-V, and 2019 Nissan Rogue. These leaders range from about $25,000 to about $36,000. 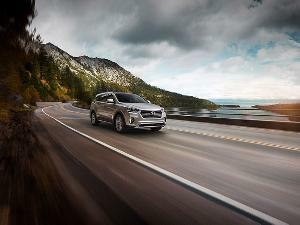 In terms of price, features, and quality, these three SUVs are the benchmarks of the segment. 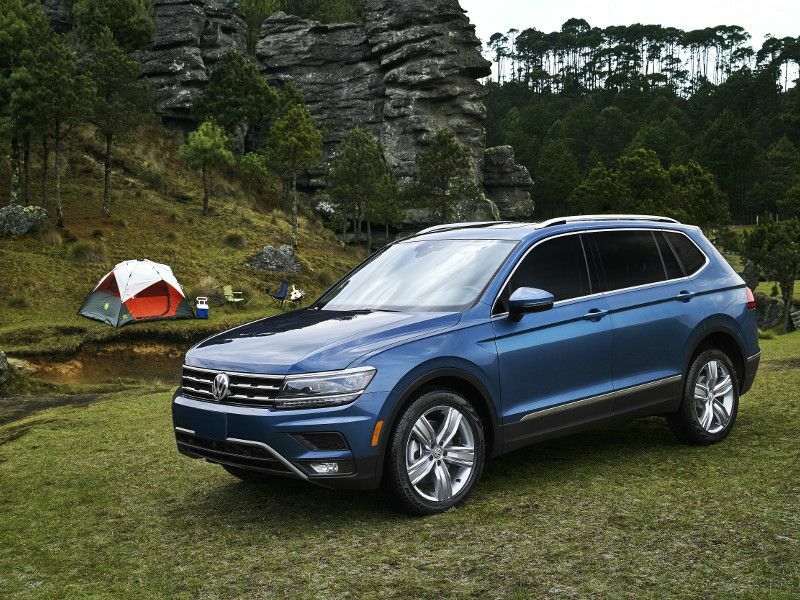 The thing to remember the 2019 Volkswagen Tiguan is this: If you’re looking for a premium SUV at an economy SUV price point, this crossover is a solid choice. 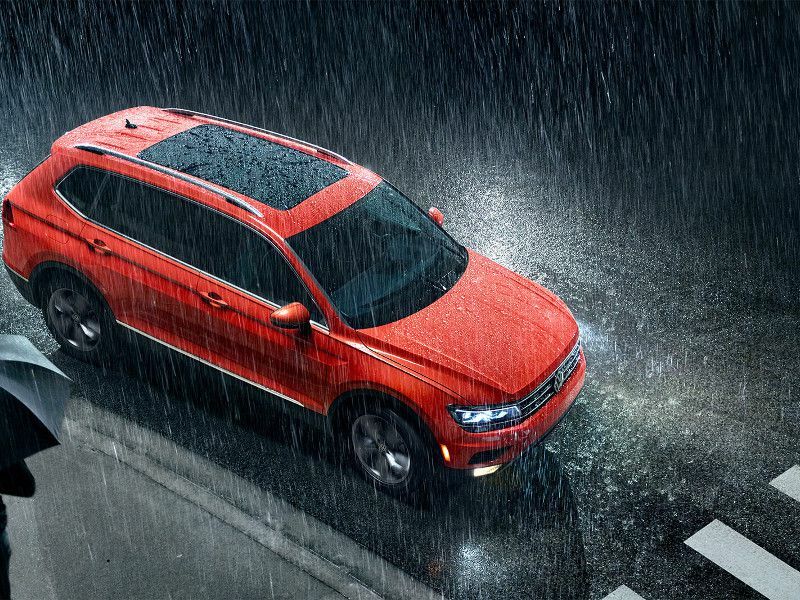 If you head for the high end of the price range, you can spend about $40,000 on a Tiguan SEL Premium with 4Motion. That’s about $4,000 more than the top prices on the economy market leaders, but you’re getting a lot more for that money. 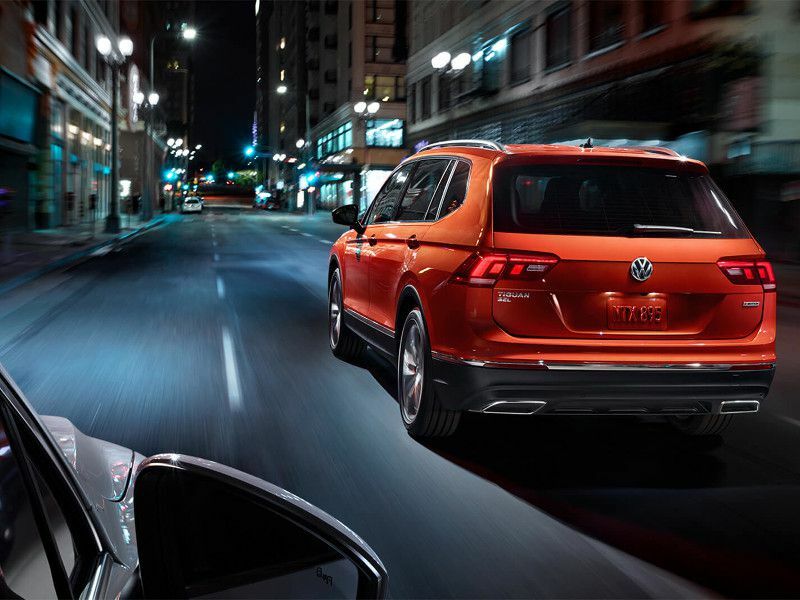 If you compare the Tiguan with offerings from the premium brands like Audi, Acura, Lexus, or BMW, you’ll quickly see that you can get about the same level of features for much less money. Perhaps it’s best to think of the Tiguan as a less-expensive premium crossover, rather than a more-expensive economy model.